Former Edelman, MSL, and JPMorgan alum Chamberlin succeeds Donna Peterman, who is retiring after 13 years as PNC's comms head. PITTSBURGH: PNC Financial Services Group has upped David Chamberlin to the role of EVP and CCO, effective March 31. As PNC’s comms head, Chamberlin will report to Karen Larrimer, EVP and chief customer officer. Chamberlin will oversee more than 70 staffers at Pittsburgh-based PNC and is tasked with leading external and internal comms, along with crisis comms, social media, and intranet management. He succeeds Donna Peterman, who is retiring after 13 years in the position at PNC. 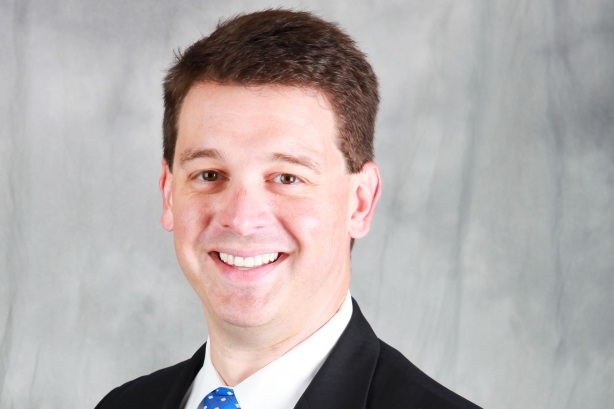 Chamberlin joined PNC last July as SVP and director of internal communications. Peterman said she recruited Chamberlin due to his corporate and consulting experience, but also particularly his expertise with cybersecurity, "an incredibly important issue for the financial services industry," she added. Chamberlin’s social media savvy also bagged him the role. "[Chamberlin] had the right skill set and personality to help us evolve to an even higher level," Peterman said. When Peterman joined PNC 13 years ago, it was a time of "great challenge" for the company, she added. Since then, it has evolved into a "sophisticated" organization, and the comms function has grown from 15 staffers to 74, said Peterman. Chamberlin told PRWeek: "What Donna has built over the last 13 years in terms of the corporate communications function has been significantly strengthened under her leadership. I look forward to building off the foundation she has built." As for Peterman’s next steps, she told PRWeek she is keeping her options open. Previously, Chamberlin served as GM of Edelman’s Dallas office, and was also global head of the firm’s data security and privacy group between 2012 and 2015. Earlier in his career, he ran Edelman’s Shanghai, China, office. He has also worked for MSLGroup as SVP and director, issues and crisis management; for JPMorgan Chase as head of PR and partner communications; and for Nortel as director of global communications, according to his LinkedIn profile.